With over 100m streams and 195m YouTube views to date, French artist Aya Nakamura has something of a viral smash hit on her hands with Djadja that shows no signs of slowing down. The original version has already achieved diamond status in France, platinum in the Netherlands (as well as a No.1), and gold in Belgium and Switzerland. 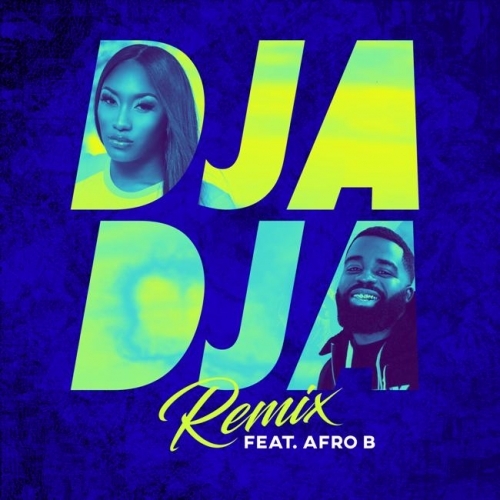 Now she is setting her sights on the UK with this sublime remix featuring Londoner Afro B, who adds an English slant to the mix and offers a slick counterpoint to Aya’s French lyrics. With its rhythmic groove and afrobeats inspired melody, this is one seriously addictive track that will have you swaying by the hips and forgetting parts of it are sung in French in no time at all. It’s already picking up early traction with spins on Captial Xtra and BBC Radio 1Xtra, as well as additions to Spotify playlists Afro Hits and Afro Bashment, and once the bigger promotion starts to kick in, we reckon this infectious number will start to easily push its way into the British mainstream. Online & Press: Katerina Koumourou, Listen Up!